Many days I start out my upstairs window in my bedroom and watch the cars pass by. In that moment I am most likely, in the middle of the afternoon, folding clothes or ironing. I watch the cars drive up our street, over the hill, and on to more important things, I’m sure. 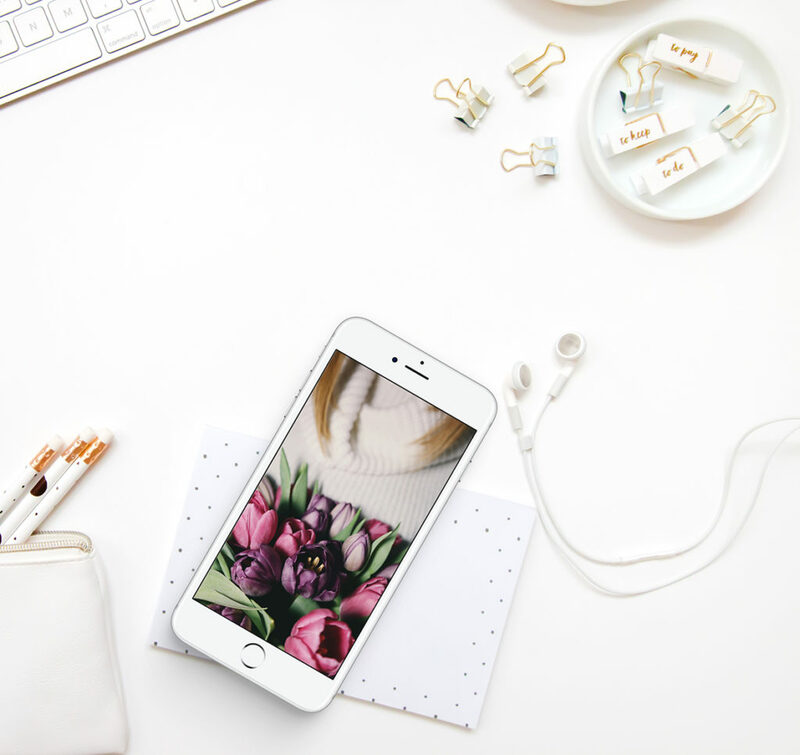 Living life well is a nice phrase and all, but when I’m a mother of five with responsibilities and house, where do I live life well? Sure, we can talk all we want about the glorious ordinary, but sometimes life is just too plain. Life is hard to live well with sick kids, piles of laundry, and toothpaste on your bathroom mirror. As I flipped through my copy of Iola, a magazine on living life well, I realized: I’m not alone! The authors and creators who contributed to this amazing piece of art spoke to me. In it, I found courage, the beauty of joy, and even a DIY tutorial on painting your own pillow cover. That’s right. I’ll be doing that one when I finish writing this blog post. Laundry, dishes, homeschooling, church activities, and all of the other stuff of life doesn’t have to suffocate us. 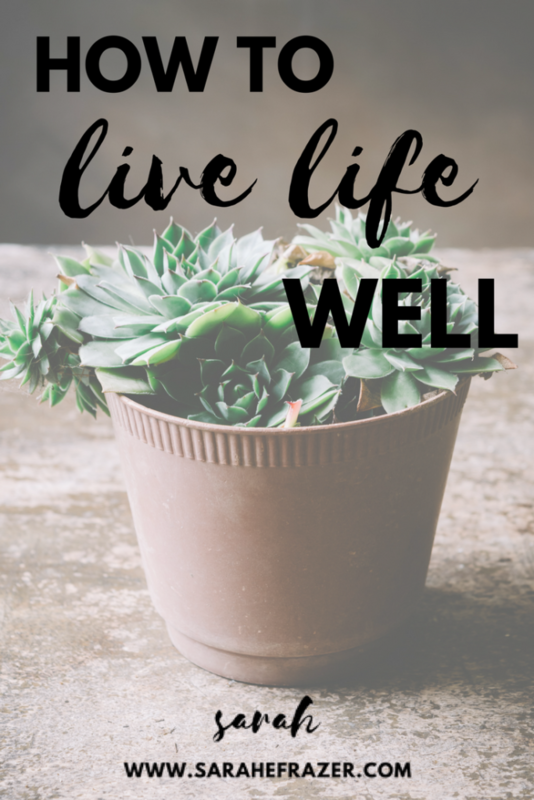 I love this line by Elizabeth Duncan Stretar in her article: “Be careful that you don’t neglect your own soul while caring for everyone else’s.” Living life well means not to forget the things you love. Here is what I love: music, chocolate, coffee, reading, and writing. What’s on your list? As I looked at my list I realized, yes some days I have to spend folding one million loads of laundry, but some days I get to sit and play “My Little Pony Candy Land” with my daughter on the floor. Ok, I have to make my bed every morning, but I also get to enjoy a cup of coffee. I am so thankful for the reminder to be, well, thankful. On page fourteen there is space to share a gratitude list. Oh, and on the the very next page? An Iola playlist! That’s right. As I glanced over the songs (which I had no idea what they would be) and I realized I had already downloaded them into my library. So I quickly made a playlist on my iTunes and am listening right now. Songs. Does music make you live your best life? Another reason to look into getting this amazing magazine. Do you need to care a little for your soul? Do you need a place to start? 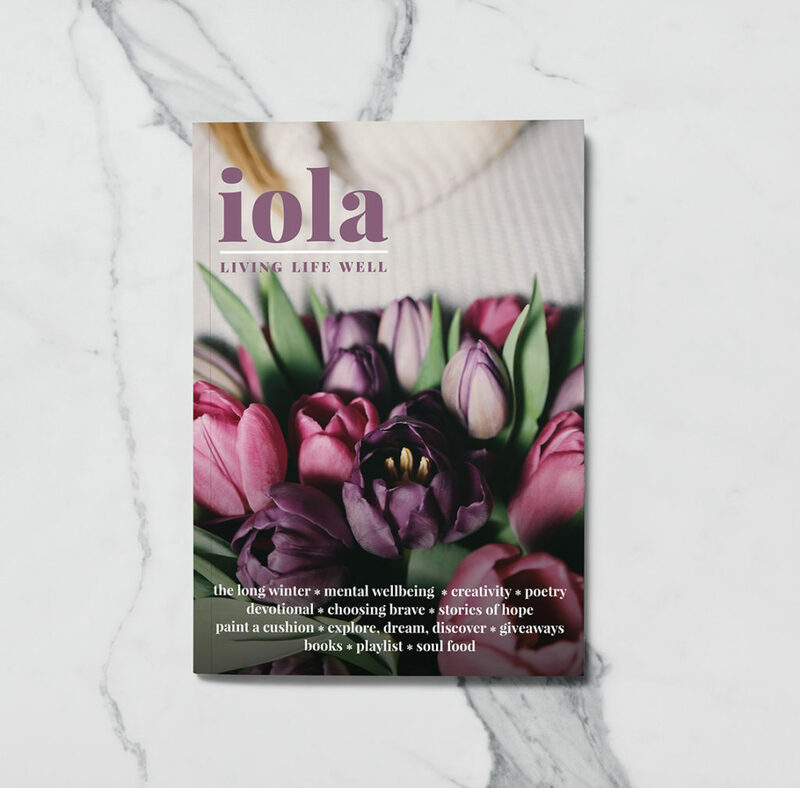 Start with Iola, the magazine that will feed your soul. It helped me to see areas in which I could live a better life, but it also taught me about caring for my soul during this winter season. Seasonal depression is a real thing. I didn’t realize it until a few years ago. I have it for sure. Especially when I read Janine Dilger’s description. The signs were all there, overeating, mood changes, anxiety, loss of interest in normally pleasurable activities, and weekend immune system. In the very next article, Elli Johnson shares tips for self-care for when you are coming out of a time of depression. I want to print this article off and read it everyday! I loved her ideas and specially the idea of “scheduling rest.” Yes. Let’s do nap time together. Music, chocolate, coffee, writing – sounds perfect to me, too!! How quickly we can overlook the joy and blessing of the “little things” and how they allow us to live life well! Thanks for the introduction to this magazine! Sounds like a wonderful read!! Have a great week ahead, Sarah!